ImmuneIQ has been found as a fraud. People had sent in fake fur and it was coming back with results. ImmuneIQ replied by removing itself from the market. When it comes to allergies, eliminating certain foods does help in general. Minimal ingredients help target the pesky allergens. This is why people saw results with this product. I'm leaving my review as is to educate the public. Ever since Jada was a little puppy, she has suffered from ear infections. We couldn't figure out what was causing her to itch and I figured it was an allergy or an intolerance to some kind of food. For years, I have kept Jada away from chicken, thinking that was the culprit, all the while trying to find a way to find exactly what was causing the problem. A few months ago, Jada's itchiness started to get out of control. 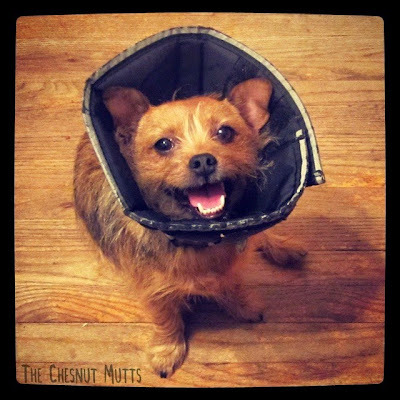 It seemed like it was episodic, but now she was wearing the cone of shame all the time. I had looked at an allergy test that was around $300, but that was pretty pricey, especially for someone who was low on funds. I came across an article for ImmuneIQ, a cheaper allergy test for pets, on the blog Pawsitively Pets. It looked very promising! 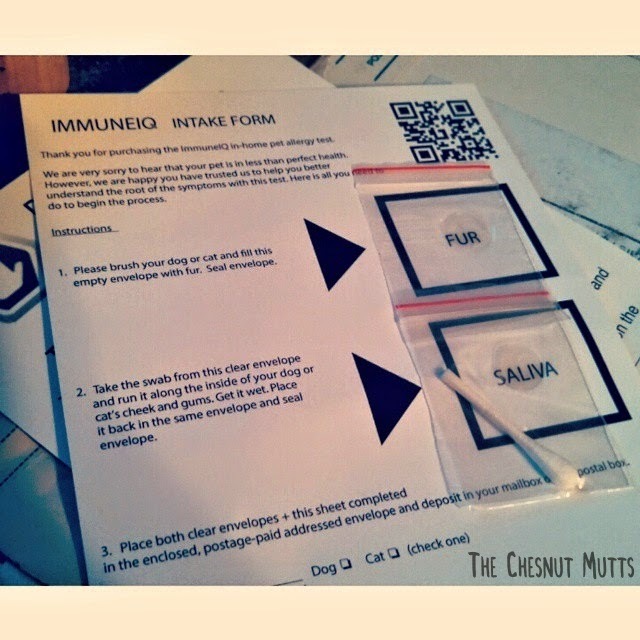 ImmuneIQ takes a sample of your pet's hair and saliva and tests it against 125 food allergens and they send you the results via email. They also have an option for add-on tests for toxins, bacteria & viruses, and molds & fungus. 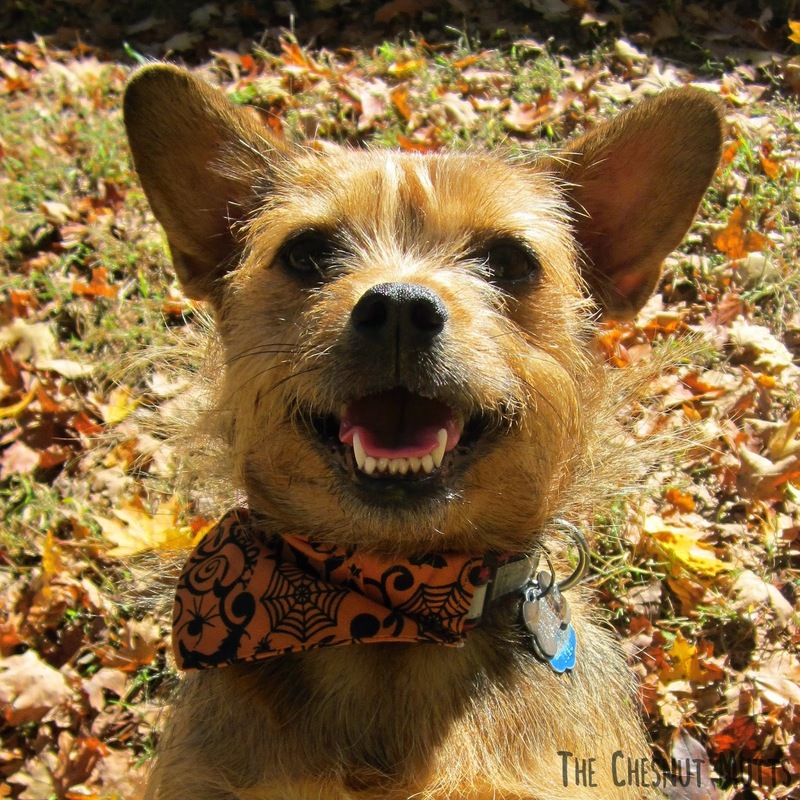 A few weeks later, I saw the product on Coupaw for 50% off! Yay! It didn't take too long for the test to come in. All I had to do was to collect Jada's fur with a hairbrush and collect saliva with a swab. When it was all done, I put it in the mail and waited. It took a little under 2 weeks and the results were instant as I received a text and email with the results. Man, was I surprised at all the things Jada was allergic to! Chicken turned out not to be an issue, but after looking at products that I knew caused a reaction, I realized that the culprit was usually either peas or canola oil, I paid for the extra tests, and it came up with a lot of things that are just bad to have near your pet in general, like fire retardant, salmonella, bleach. I don't think that it was worth the money for them honesty. I did get a little bottle of itch relief spray though! "Hi Abby,Thank you for emailing the help desk! Allow me to help you interpret our assessment:The RED column indicates anything Jada should avoid, and means that in this moment in time these items create more toxicity than benefit. These things are building up a toxic reaction in Jada. Sometimes that is an allergy, sometimes it is a toxic reaction (example inflammation). So for example, in the case of a food,it will never create benefit and is not a good choice. We seriously recommend avoiding it. In the case of a toxin, that means it's a high enough level detected it's cause for concern and possibly a 90-120 day detox program or treatment or even drug in the case of a bacteria or fungus.YELLOW are a caution but unlike red, you may be able to get away with having it as an ingredient in a food you select.GREEN is good or ""not a problem"" of course. So in the case of a toxin, parasite, fungus, bacteria or virus assessment, green means these do not seem to be problems in your pet. Otherwise they would be in the yellow or red columns.Our standard of sensitivity is much higher than most allergy assessments. Most animals that have defined ""allergic reactions"" by other allergy tests are a very small percentage and can still be sensitive to a food, plant or toxin to name a few. For example, we know that additives in our own foods can often be toxic to us over time but not stimulate an allergic reaction or ""positive"" on a test. 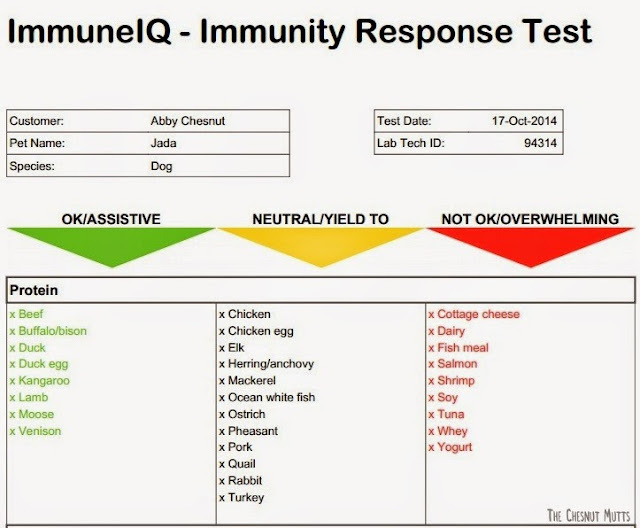 ImmuneIQ is an unique immunity assessment that is changing the way we look at and understand "allergic" pets. We believe this is a much broader approach to learning about what's happening with your pet's immune system. ImmuneIQ Assessment gives you a starting point to determine and understand what is red, yellow, and green for Jada. It is not designed like other “allergy” tests that you will get at the veterinarian. ImmuneIQ assessment is designed to limit those things that are degenerating your Jada's system (RED), highlight the things that would enhance repair and regeneration (GREEN), and leave YELLOW as the things that neither hinder nor enhance so they can assist to balance out Jada's diet. Stop the reds, go with the greens, and yield to the yellows. ..."
After buying new food and categorizing the treats as 'Jada-safe' and 'not Jada-safe,' I saw a major change in her scratching. Her ears have become a lot better, except for the occasional flare up! The extra tests you can buy tests for things that are not good for pets anyway, like chemicals. But it is still good to know! Click here to go to ImmuneIQ's website! Want great deals like the one I got? Sign up for Coupaw! Great review and thank you for mentioning my blog post. I'm glad that you found this product useful :) And wow you sure did find a great deal on it too! That is awesome! Thank you, Jada sure appreciates it! I love finding a great deal!! This review almost seems like an ad by, or written for, ImmuneIQ. The thing that makes me call BS about this product is that there's NO description of the science behind their technology. No description on how it works, what markers they look for, how the assays are performed, not even what the core technology is. I understand that the exact method is proprietary information, but when there's NO mention about how it's done except to say that it's "science", it makes me think it's all bogus or fraudulent. And the fact the company is based in Las Vegas doesn't help. I assure you that it was only me who wrote this, and ImmuneIQ did not have any part of it. I bought the product and wrote a review. I agree that they do need to explain it a bit more. Their website is a bit bare, and when you are spending that much money you want to know all the details. I assume they take the saliva and hair and test the cells against different allergens. I don't know about other people, but this test has been a life saver. Jada only itches when she gets into the foods that were listed. Didn't mean to accuse you, but companies do often plant fake reviews. I've seen other reviews that results from different animals yield very similar results... leading to suspicions that it's fake. To my point, there's nothing in any literature to suggest that there is science behind using saliva, and especially hair, to determine allergies. If they have found a way, they should explain how. The founder of the company is no scientist, he's just a Vegas "entrepreneur" who said he's spent 5 years of research. So what? Get 3 different animals, for each one randomly send in 3 different tests (all under unique names and addresses) and drawn from the same pooled sample from each animal. The results from the same animals should match - at least more closely than those from different animals. Would cost a few hundred dollars, but hey, if anyone is a lawyer one could make some money on a class action suit if it turns out it's bogus. Hi - ImmuneIQ has disappeared. I was ripped off. 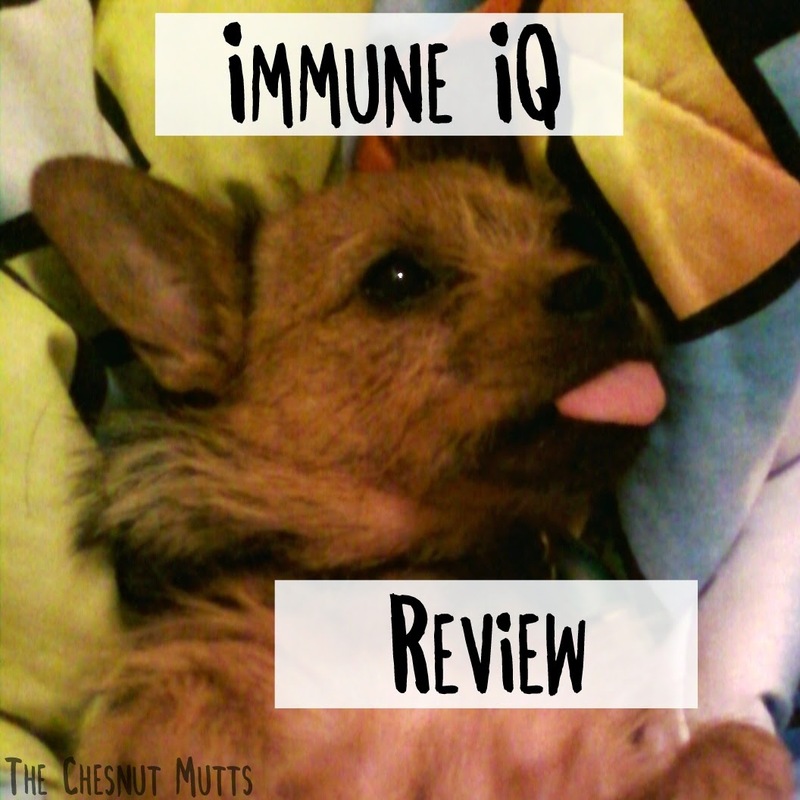 Immune IQ unfortunately did not help my dog. We ended up doing the traditional blood allergy test anyway. The Immune IQ results for his food allergies were inaccurate. Save your money. Hi Debbie! Have you tried helpdesk@vetdvm.com? On their website it says that you might have not gotten your results back because: You sent it via an unapproved method and a return address was not provided on the return envelope. I sent my kit to them March 3 and didn't hear anything EVER. Finally, i contacted them mid April and was like what is going on with my results? They said they never received my kit and pointed the finger at the Postal Service saying that alot of the packages get lost if you chose to send back via post office. This company did recommend for you to send back with tracking so they have proof of delivery. The first red flag i have with this is, if this company has SO MANY missing packages, why wouldn't they make it mandatory for ALL customers to send it back with tracking? That way they don't waste our time and theirs with finger pointing and lost packages? Sounds like if you don't spend more money to get a tracking, but send it back via their pre paid postage, they probably get lost somewhere in their facility and just blame it on no tracking b/c they are too lazy to go look for it. Anyway, they said they could mail me out a replacement kit that i had to pay more shipping for. So i had to pay another $7.50 for them to mail it out to me, then another $6.49 for me to mail it back. So why are they charging me another dollar for the same service? Another red flag. Then when i got the replacement kit, i was notified via email that they sent out the kit with another dogs order/name on it!!! They asked me to cross out the order # and write the correct info on it before sending it back. At this point, im thinking this company is NOT reliable and is probably a sham. So within 3 days of sending the kit back,i receive my results. I don't even know if i should believe/follow it as this could be some other dogs results, considering all the confusion going on with this company. I would skip this company and just pay your vet to test and receive actual and conclusive results. You get what you pay for. 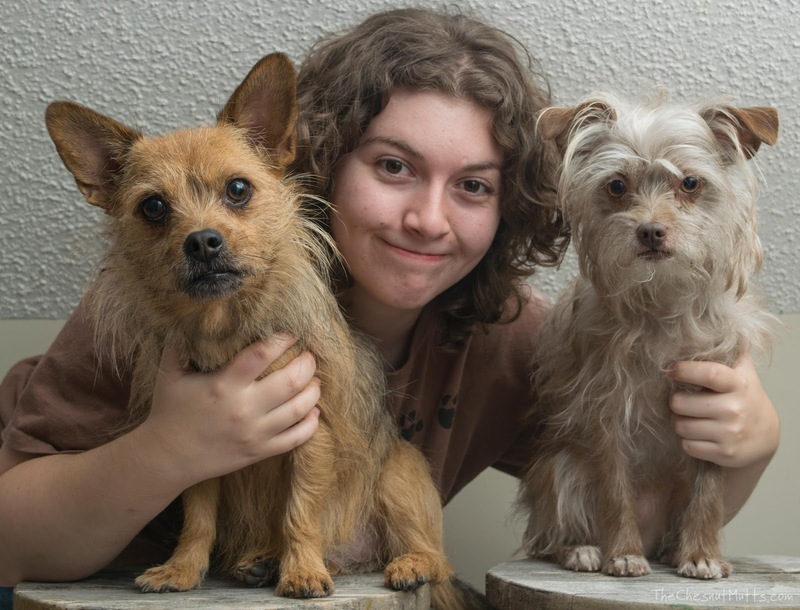 This company preys on loving pet parents. I sent in a sample of my pet and waited. And waited. And waited some more. (4 weeks total) I contacted them by email and they responded within a few days.What was my tracking number for proof of delivery was the consistent question. They provide a pre addressed, postage paid mailer to return your samples. They do hint that you might want to get proof of delivery because the USPS is so unreliable to them. When I told them I had not got proof of delivery, they pointed the finger at the USPS and said it was their fault. We had several more email exchanges during which they said that they have no way to tell if the "lab" received my samples. I guess the "help desk" and the "lab" are separate entities. After repeatedly telling me that they didn't have my samples, they made the mistake of identifying my pet by name. The only way they could have had that information was on the information card that I had sent with the sample. I pointed that out in my next email and again it was denied that they had ever received it from me. An hour later, I received results back for the tests that I had paid for yet had just been told that they had never received the samples. I wonder whose results I got or if they were just pulled out of thin air? I feel that this company is NOT legitimate. I explained this to my credit card company and they agreed and canceled and credited the charges made to this company and Groupon. Go to your veterinarian, pay the $300.00 for scientifically proven blood work to determine your pets allergies. You'll be saving yourself money in the long run AND your pet will be happier and healthier. I work in a pet store. 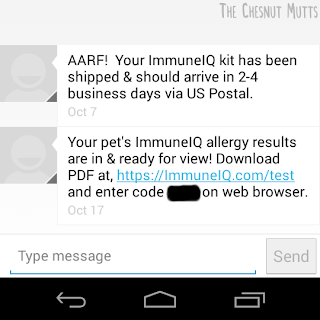 Pet parent showed me her Immune IQ results on her phone. She bought via a Groupon. There are no veterinarians or veterinary dermatologists that would endorse this product. It is simply NOT an accurate way to determine food allergies---the ONLY proven way is through careful feeding trials! Sorry folks, but there are NO EASY answers to allergies--food or inhalant or contact--in your pets. I did do the test with the fur and saliva and to my surprise I received my results within less than a week. I did not do any tracking on the package, I just had my return address. I would like to see other results to see it is just a typical report or if there are differences. I did notice on the results you posted on here, I do have some that are different. But I would like to see if it is true to your pet or if they have different "results" that they send out to each person. I did order mine through Groupon and I am not sure if that makes any difference on getting the results back or not. I will try some of the recommendations but still interested in others results to see if most are the same. Paper from Journal of Vet Dermatology: Inaccuracy of a hair and saliva test for allergies in dogs. Coyner K, Schick A.
Vet Dermatol 2016;27 (Suppl. 1):68.
recommended as an alternative to hypoallergenic diet trials or intradermal or serologic allergy testing in companion animals. Melanie... My vet says the serologic tests produce false results. She refuses to run them and only suggests food trials. Why do you feel this information is wrong? Unknown (from March 1)...I'm a vet too, and I don't suggest the serologic tests if you're looking for FOOD allergies/adverse food reactions. The ONLY method that's been proven to effectively detect those are strictly controlled food trials. Serologic tests have validity for environmental allergies, and of course, like any test, can produce false results. I suggest that you chat more with your vet about the differences and what your doggie might need. Remember everyone, this is not a silver bullet, it even says it is a STARTING POINT to help with your pet's allergies/food intolerance. My dog had severe food intolerances and didn't have a clue why as they just started out of nowhere when she was a puppy. Desperately I tried Immune IQ and as a STARTING POINT was extremely helpful! I adjusted her diet to as close as I could get with her report and it worked! Then slowly tried and eliminated ingredients that were in her middle column that didn't work, but others did. IF you use this report correctly it can help. For those of you that are complaining you're looking for the easy button and there isn't one. This takes effort to understand and you really need to dig in past JUST the report. Overall, this saved me a ton of money.